Turbosound 2 way 15 inch full range speaker with horn. 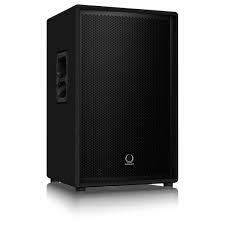 Ideal for portable applications and sound reinforcement. Excellent quality unit with a wide frequency range and 250 watts RMS continuous power. Low distortion and optimal dispersion.